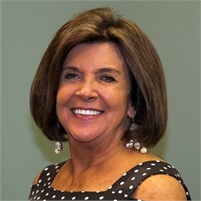 Gail Jernigan, Marketing and Client Services, has been with Jernigan Financial Group since inception. Initially she performed administrative duties serving our clients. More recently, she has focused on ongoing industry educational meetings for office assistants. She assists in the implementation of new client services and tools and plans all client events. Gail and Jake reside in Wichita and have three grown children and six grandchildren. She is passionate about serving women through women’s bible studies, mentoring young moms and spending time with her family.